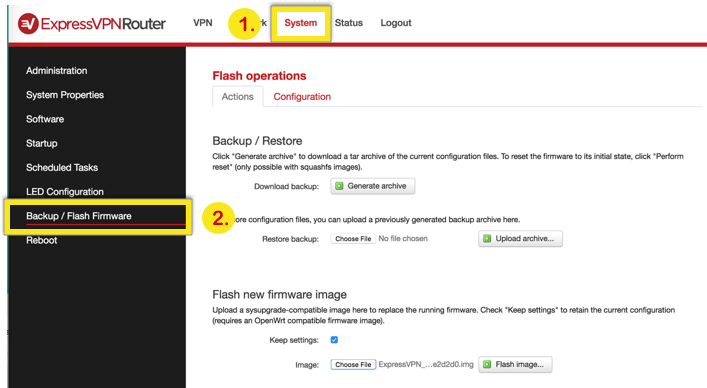 Before you start: Go to www.expressvpn.com/latest and download the latest firmware for your router model. If you are unsure which router model you have, see this guide on identifying which Linksys router you have. Note: If you want to keep your current router configurations after upgrading, check the box next to Keep settings. 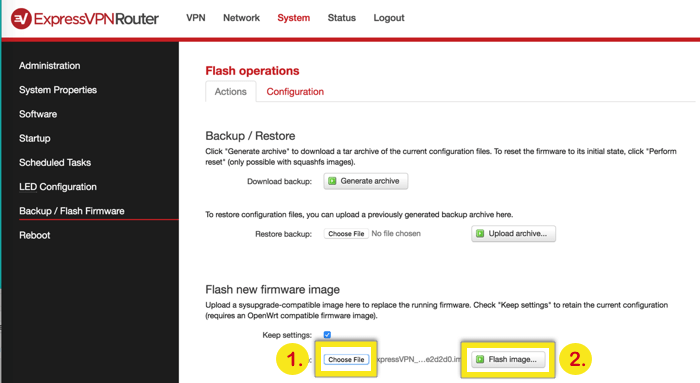 Step 3: You will be asked to verify whether you want to flash the firmware. Click Proceed. Step 4: Wait a moment while the firmware is upgrading. During this process, you will be asked if you want to keep your current configurations. After the upgrade is complete, you will need to sign in again. 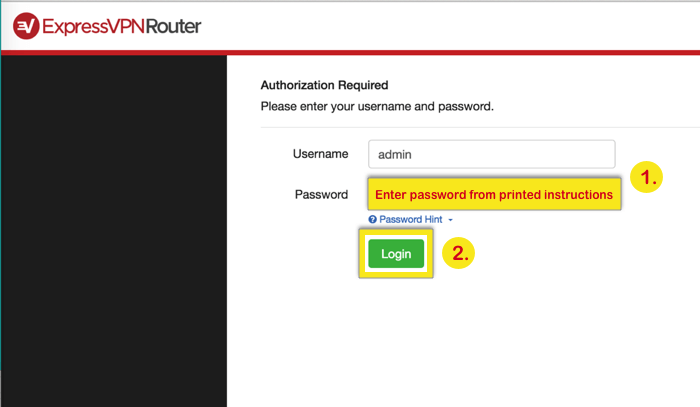 Enter the username and password found on your printed instructions sheet or the bottom of your router and click Login. Note: During the firmware upgrade process, your device will be disconnected from the router’s Wi-Fi. This is completely normal. To complete the upgrade process, simply select and connect to the router’s Wi-Fi from your device again. In the top navigation bar, go to Administration. In the left-side menu, select Firmware Upgrade. Select whether you want to reset to default settings after upgrading. Upload the firmware file and click Upgrade.